Want it by Wednesday 24th April? Order within 10 hours, 55 minutes and choose Royal Mail 24 Hour Delivery at checkout. No wardrobe is complete without a Joules Harbour top- once you've tried one you'll wonder what you ever did without it! A scoop neck and curved hem mean this top is flattering on the majority of figures. 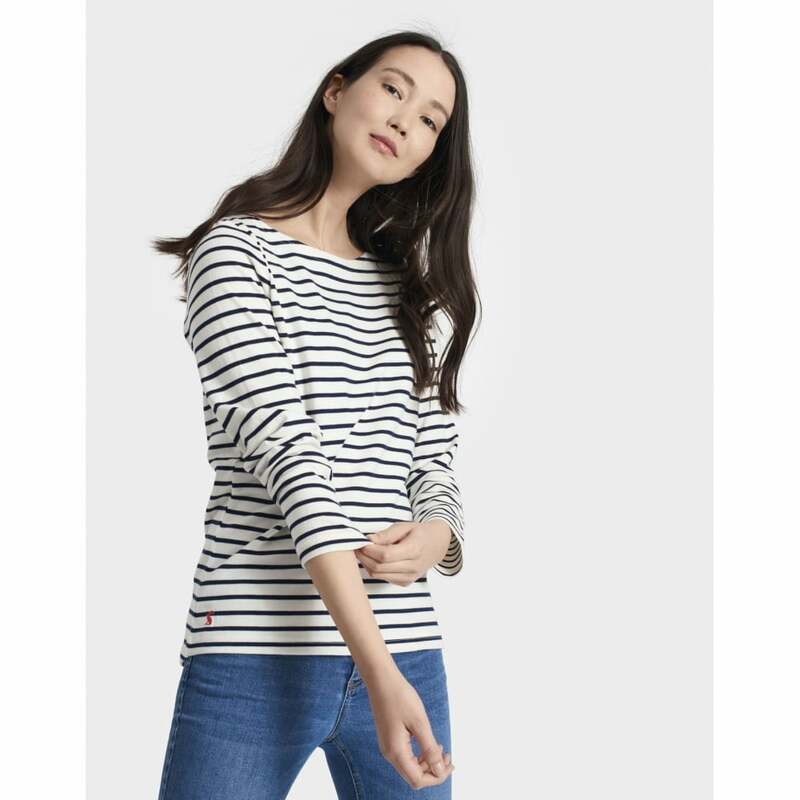 A classic breton top in a wide range of colours this really is a wear anywhere piece, team it with jeans or with a skirt and tights in colder weather.